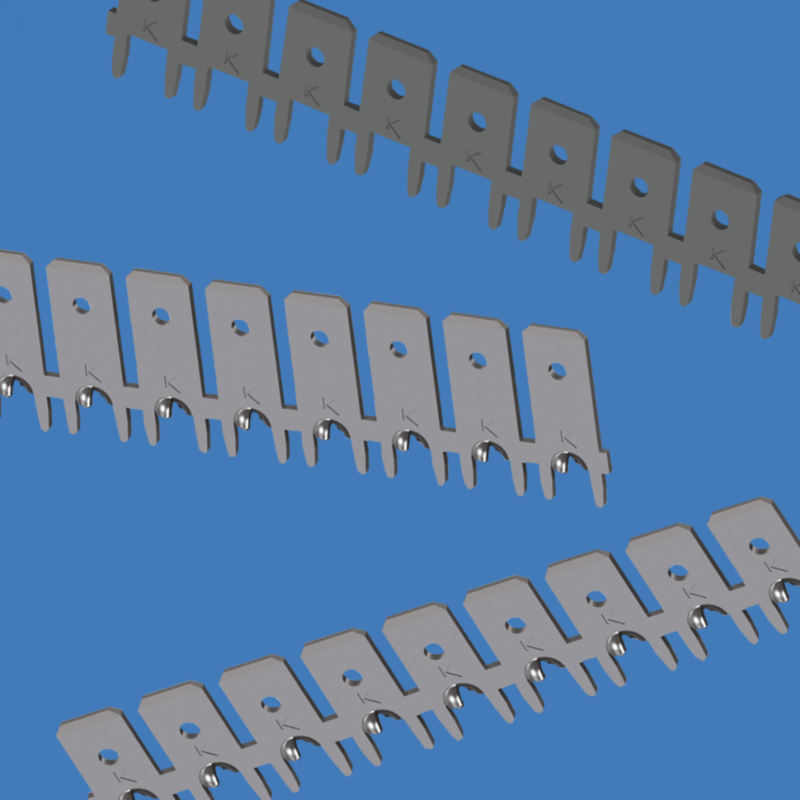 Keystone Electronics is introducing a new packaging for their diverse selection of Quick-Fit PCB terminals. These new, male tab terminals are specifically designed on a continuous reel to be compatible with standard automated insertion equipment – reducing assembly and processing time. Manufactured from Brass with Tin-plate, these new Terminals ensure easy installation & soldering to a PCB. They are packaged on reels as a “drop in” replacement for existing product. P/n 1287-R for ¼”-wide Male Tabs with .312″ height above the board. For a terminal with additional solder joint strength and designed to keep the terminal perpendicular to the board during and after soldering, p/n 1287-STR and for taller tab requirements, request p/n 1289-STR which is .540″ height above the board. This products are available thru Keystone Europe distributor network.